Pistachio burn out linens from Cloth Connection paired with platinum reception chairs. 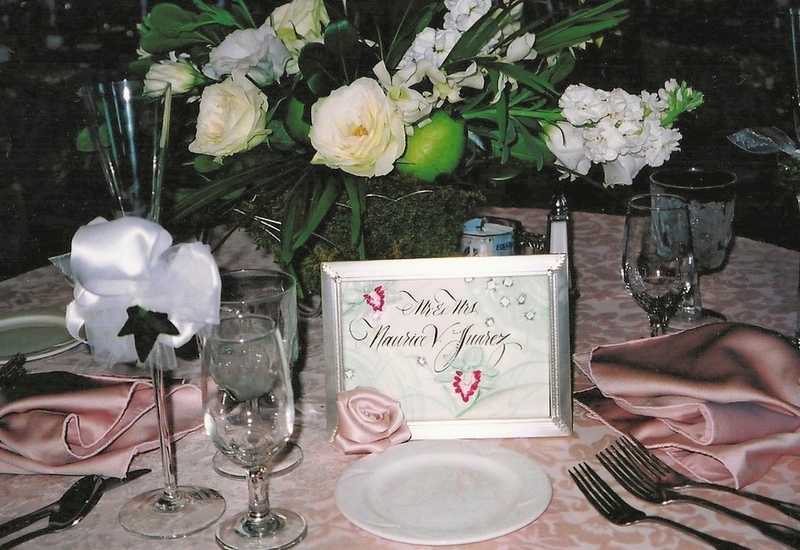 High and low centerpieces of exotic flowers and tropical fruit in brushed silver upright. 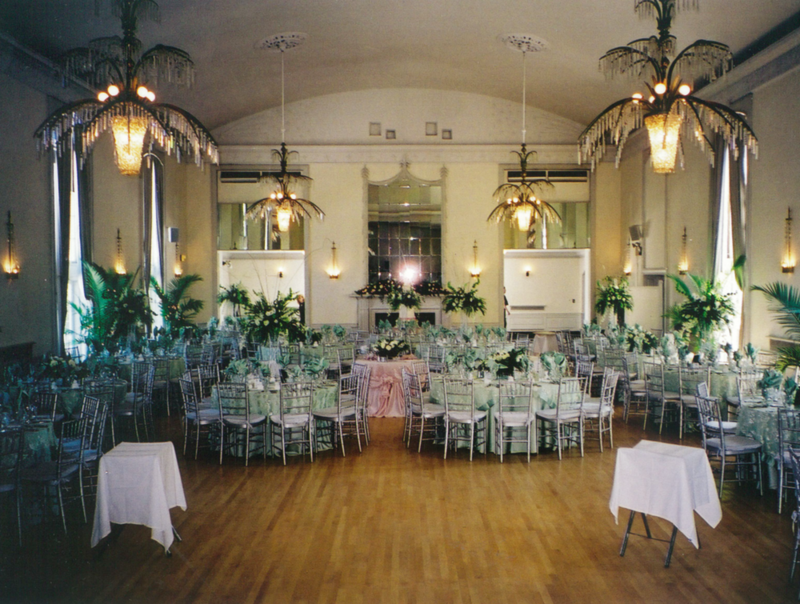 Sego palms around the perimeter amidst grandeur of Art Deco chandeliers. 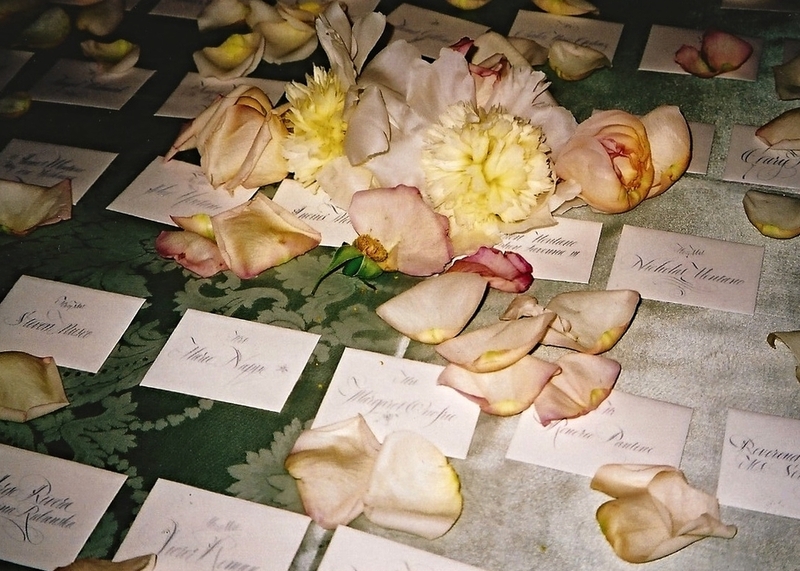 Hand calligraphed place cards are perfectly placed as guests enter the ballroom. Fresh flower petals gently scattered. 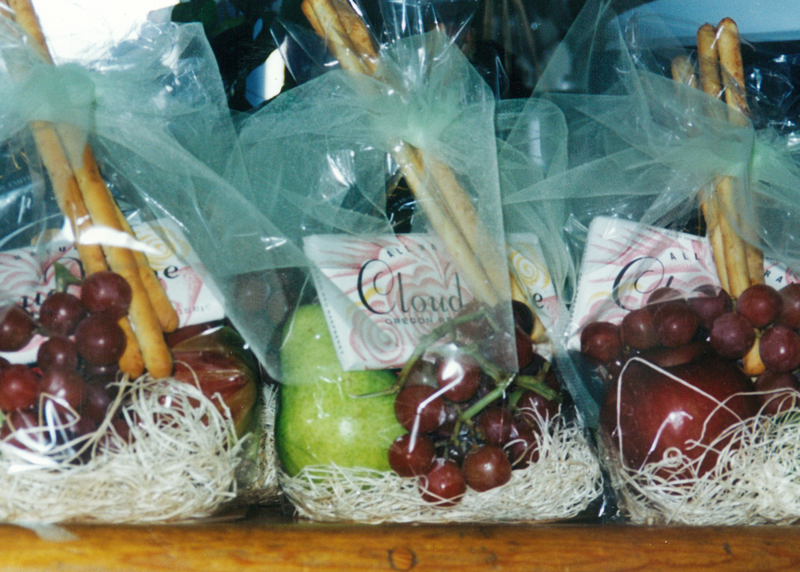 Sweetheart table of pale pink burn out velvet linens with hand calligraphed table card for Mr. and Mrs.
Hospitality bags of artisan chocolate paired with fresh grapes tied with aqua tulle placed in guest rooms. ©2015 DreamsComeTrue. All Rights Reserved.